It's been a banner week for Zynga, which went public with one of the healthiest balance sheets we've seen in an Internet-startup IPO company this year. Zynga's mostly-free business model was such an instant smash, and it's been so widely adopted over the past four years, that it's hard to remember when the idea was considered ludicrous. But it was. And by people who ought to have known better. As it happens, I've been writing a big chunk of an upcoming business book about successful American startups, and one chapter is about Zynga's early days. It was fascinating to look back to when founder Mark Pincus's vision -- that the games would be free, but supported by the small portion of players willing to pay to improve their results -- was viewed as more deranged than visionary. Early on, Pincus was rounding up investors for Zynga. One of the places he visited was then-dominant gaming company Electronic Arts. EA, of course, was built on a pay-to-play model. You buy the game, you stick it in your console or download it onto your computer, and then you play it all you like. The model was traditional, simple, and a predictable source of revenue. 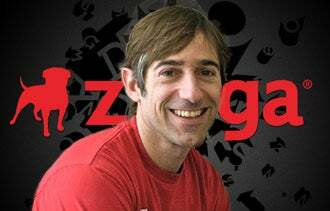 Pincus got the idea EA might be a good backer for Zynga, given their deep knowledge of the gaming space. But one source I spoke to said Pincus was about laughed out of the building when he pitched EA for possible funding. You can imagine the crushing sarcasm Pincus heard from the EA execs. The knee-slapping. Let me get this -- the games are free? Only one person in the pitch meeting reportedly recognized the vast potential of the free model to transform the entire gaming industry. EA executive and investor Bing Gordon -- now of storied venture capital firm Kleiner Perkins Caufield & Byers -- ended up coming along for Pincus's ride. No doubt he's had a very good week, too. It's the rare person who has the ability to tell an industry's transformative moment from just another crackpot idea. Meanwhile, EA has raced to catch up with the new wave of free online and mobile games. What new business models do you think will shake things up in 2012? Leave a comment and give us your prediction.